Install lights that are hidden from plain view. Patios are typically made out of concrete, stone, tile, or brick pavers. That can make it more challenging to install lighting on an existing patio, but if you are going to be putting in a brand new one, you can plan the light scheme from the start. With an existing area, you’ll want to place lights in ways that will complement the layout. Consider hiding some landscape lights in the ground by drilling through the patio. Add elegant wall fixtures. Another excellent way to illuminate the area after dusk is with wall lighting. There are many stylish and elegant fixtures that are designed for the outdoors. Not only will they be aesthetically pleasing, but they’ll also provide a light source that isn’t overpowering. There are also lights that can be built into the design of stone and brick walls, providing much needed illumination for both safety and style. With strategic placement, the light can be cast along walkways, in seating areas, and can even extend out around a swimming pool. Once the sun sets, your outdoor space can be transformed into a cool, comfortable area to relax and entertain. Lighting is an essential element, and it can serve to add style, enhance the design, and make the exterior living space safer. When designing your outdoor area, be sure to take luxury lighting into consideration so that you can create the beautiful look that you’ll enjoy using throughout the year, both day and night. Dig It Out. Digging out the weed is among the surest methods of ridding the landscape of poison ivy. You should cut back the vines and remove the roots. This might have to be done a few times to eliminate it all. Ideally, digging should be done after rainfall when more of the roots can be removed without breaking. Paint. You can set back patches of poison ivy by spraying them with herbicides. However, this must be done repeatedly and it could be harmful to other nearby plants. To prevent this, you can paint herbicide on the limbs of the poison ivy. Cut It Out. You can eventually exhaust the roots of poison ivy by repeatedly cutting it down. Take out the cut sections, place them in a bag and ensure they get to the landfill. In low-growing fields, you can brush hog the poison ivy; however, your clothing, footwear and the machine must be thoroughly cleaned afterwards. Smother It. If you are not overly concerned about the appearance of the garden patch, you can cut back the weed and cover with black plastic mulch throughout the summer. Doing so will suffocate it. When getting rid of poison ivy, you should ensure your entire body is protected from its chemical onslaught. Wear pants, boots, gloves, long-sleeved shirt and mask to prevent contact with your skin. Good landscaping is an excellent way to heighten home value. Maintaining your yard increases curb appeal and highlights the best your property offers. Here are some simple tips that will boost the appeal of your exterior space. 1. Stick with a Plan. Some homeowners clutter their yards with many plants. Although different varieties keep things interesting, plants should maintain a uniform appearance. The perfect look will blend shrubs and perennials. 2. Match Home Style with Landscaping. 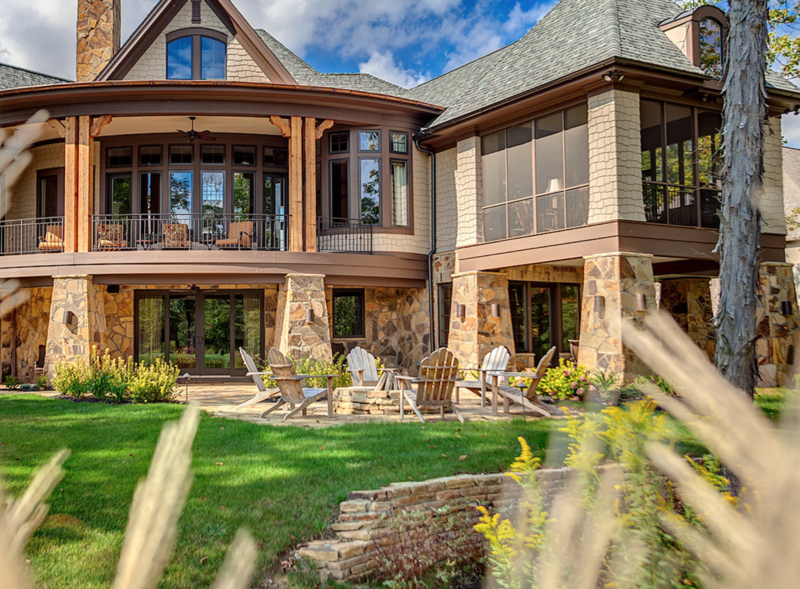 To maximize property value, landscaping must mesh with a home’s style. For example, when you own a Victorian home, it is wise to create a country landscape that has old-fashioned flair. A more contemporary house may look better with an informal garden filled with bountiful greenery. 3. Trees. Although many homeowners concentrate on garden beds, lawns, and flowers, it is wise to consider planting trees. Real estate studies show neighborhoods lined with trees have higher sale prices. Since trees provide clean air, they attract environmentally conscious buyers. Also, the shade of trees creates a cooler environment where individuals can enjoy sitting outdoors on their porches or patios. 4. Think Four Seasons. Your home should be filled with plants that bloom at various times of the year. This keeps the property looking fresh though season changes. No matter when you decide to sell, your home will have landscaping appeal. It is easy to plant a mixture of spring bulbs, summer annuals, brightly colored fall bushes, and winter evergreens. 5. Maintain the Lawn. Nothing increases home value like a maintained lawn. Besides having a green and vibrant color, grass should be neatly edged. This gives the appearance of no weeds and a clean yard. 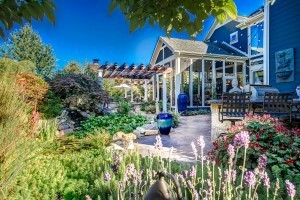 Investing in a home’s landscape will provide a large return on investment. For more tips, consult with the experts at Hidden Creek Landscaping. This business will provide you with a custom design that complements your property and enhances its appeal. The hustle, bustle and demands of everyday life can become quite overwhelming. 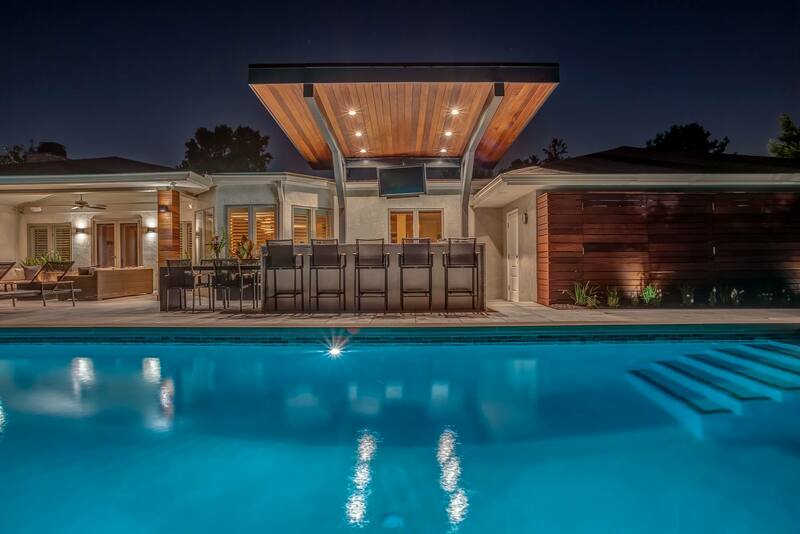 Having an backyard oasis is a remarkable retreat that you can on a daily basis. Being able to set the tone for the day or unwind after the work day in your backyard oasis will significantly improve your lifestyle. Additionally, a beautifully landscaped yard adds incredible value to your property. Establish a Realistic Budget. In addition to being realistic, your budget should be easy to track, detailed and organized. 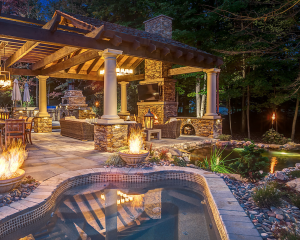 Establishing a budget will assist you in determining what is required to create your dream backyard. It should include the cost of each item and labor costs. Ensure the Budget is Effective. Effective budgeting involves more than mere planning. Responsible homeowners will closely monitor the budget and be mindful of the investment, irrespective of who is contracted to work on the project. Additionally, it is important to build in some flexibility, since this will ensure the project will be able to handle the unforeseen. Depending on the dimensions of the yard and the intricacy of the landscaping project, the budget spreadsheet does not have to be lengthy; however, it should be adequately detailed so it is reasonably accurate. Planning your backyard budget can be a pleasant aspect of the pre-planning period. 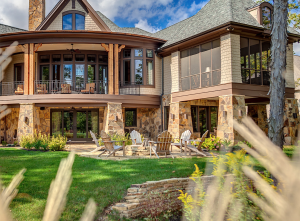 Transforming your visions into reality starts with research and you can also consult with our qualified and experience professionals here at Hidden Creek Landscaping. These are just a few tips homeowners can use to budget and save for their dream backyard.